Delicious. Decadent. Sumptuous. Those are the words you want to hear when you open your own restaurant. But what makes a good restaurant stand out? And how do you plan to distinguish yourself from your competitors? 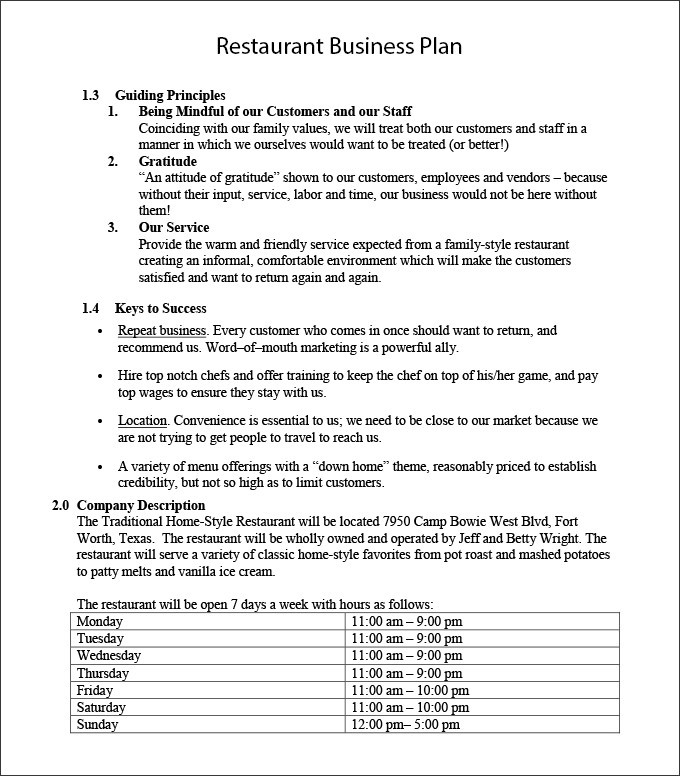 It’s easier said than done, but creating a restaurant strategic plan will help you answer those questions. 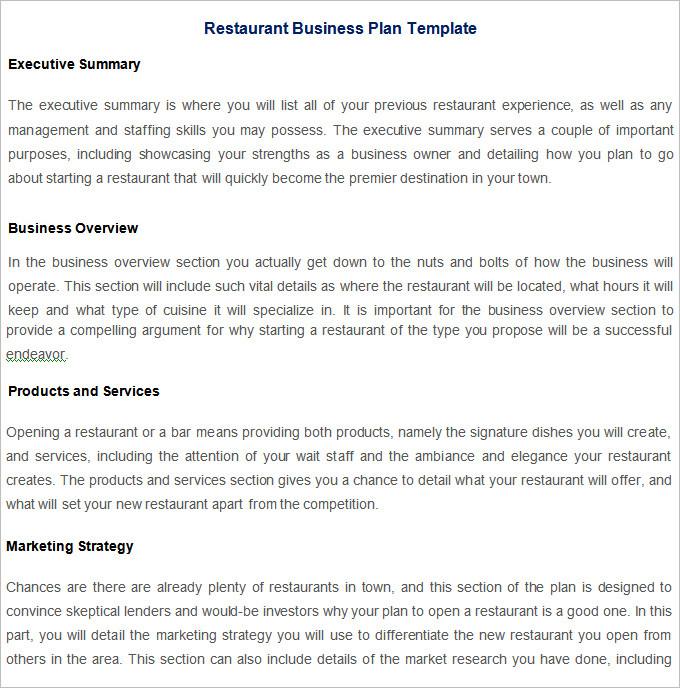 To aid you in creating a restaurant strategic plan, here are some examples in PDF format to guide you. 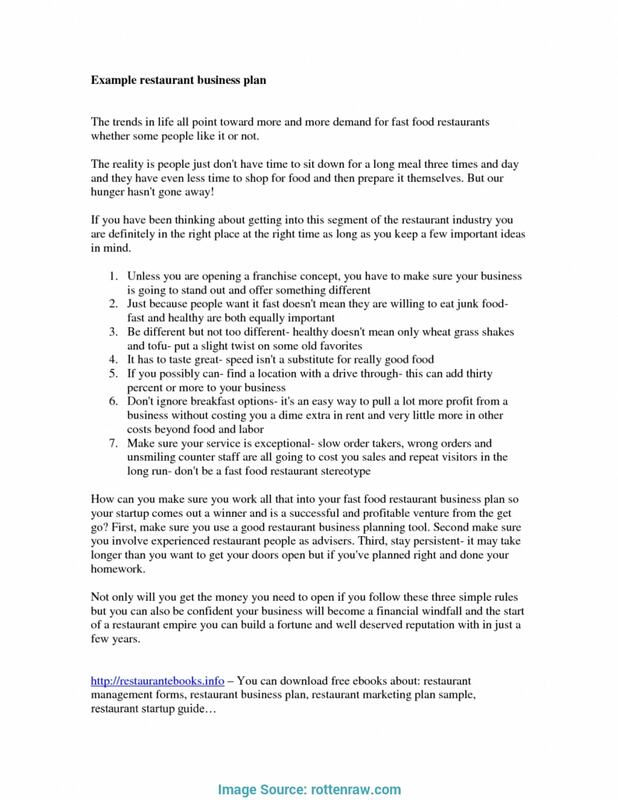 Why Start a Restaurant Business? 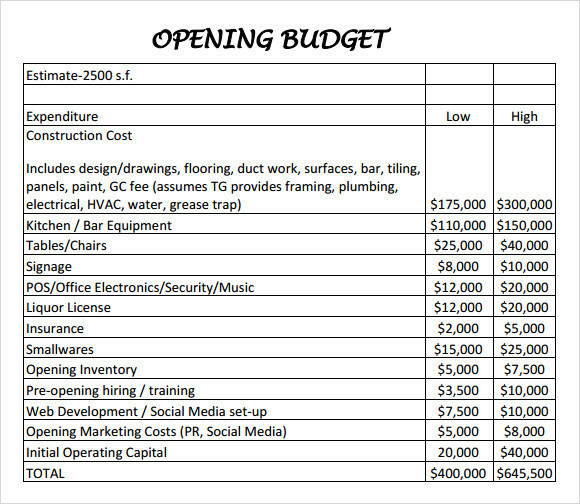 Among the businesses you are planning to establish, why should it be a restaurant? There are a numerous reasons why. Let’s start with the most obvious reason: it is profitable. Entrepreneurs wanting to invest their hard-earned money always look at restaurants as a primary option for investment. This is because there is just money when it comes to starting a restaurant. People love to eat and try out new dishes every now then. And food is basically a necessity for survival—no food and everyone would simply die. Another reason why you should own a restaurant business is the prestige and connection it brings. Even if you only franchise or set up a fast-food chain, it can already bring wonders to you business portfolio. This is because starting a restaurant is not easy, and maintaining it requires large and continuous capital investment. 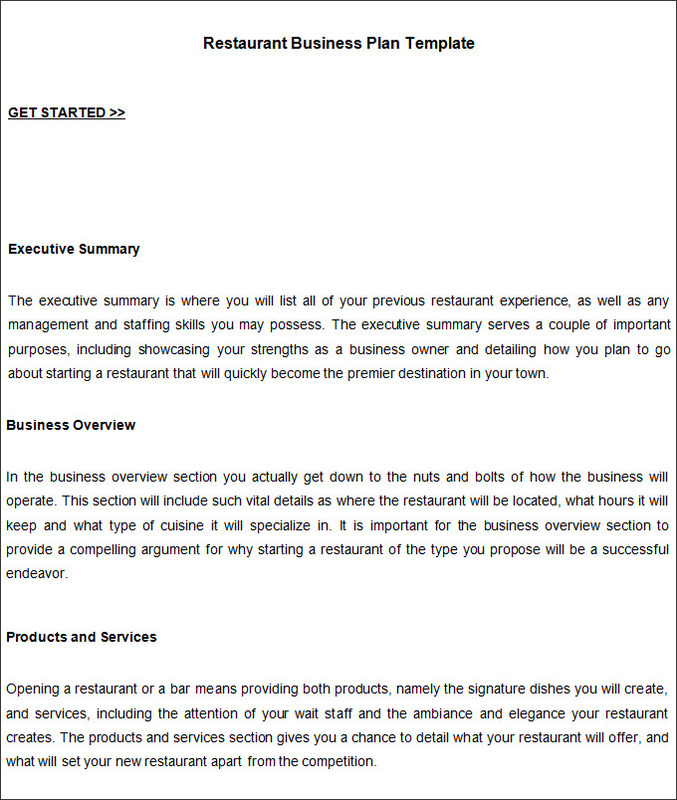 Starting your own restaurant can also result to numerous business connections. As long as your dishes are delicious, your restaurant will attract numerous customers, specifically professionals and other entrepreneurs. They will keep coming back and that reason alone will be very beneficial for your restaurant business. And if you are lucky enough, they will be offering business partnerships with your restaurant (i.e., capital investment, supplying different raw materials and goods, etc.). If you love to cook, then there’s another reason for you to start your own restaurant. Turn your hobby into a money-making opportunity, and you will enjoy cooking even more. Most restaurants almost always begin with the business owner’s interest in cooking, either serving some delicious dishes in family events or grilling some pork and chicken meat in outdoor parties with friends. You don’t need to establish a 5-star restaurant at the beginning, as you can always start small and serve the dishes you know you can cook to a smaller number of customers. 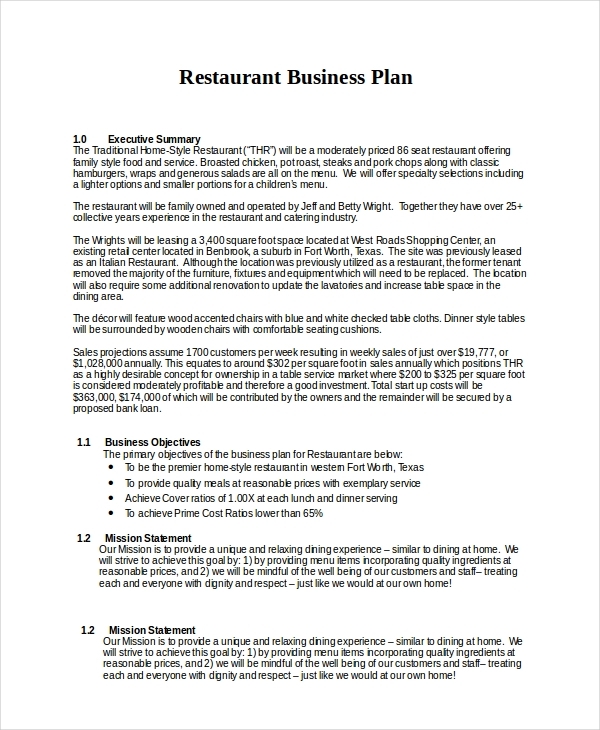 Here are the essential components of a strategic plan that you should follow when you will be creating your own restaurant strategic plan. There are components but the ones listed below are the most basic ones that you should never omit. A strategic plan always begins with a vision statement. The vision statement is a long-term goal that you want to achieve for your strategic plan. Take note that a vision statement should not be changed often, and the strategic plan should revolve around that long-term goal you want to achieve. If the vision is focused on the future, the mission is focused on the present. The mission statement is an outline on how you want to achieve your vision. The mission statement, otherwise known as the objectives, is a vital component in accomplishing the mission and lays out the details on how the strategic plan will be accomplished. There are numerous strategic methods you can apply in your strategic plan. Among them are SWOT analysis, PESTLE analysis, Porter’s five forces, balanced scorecard, and growth share matrix. 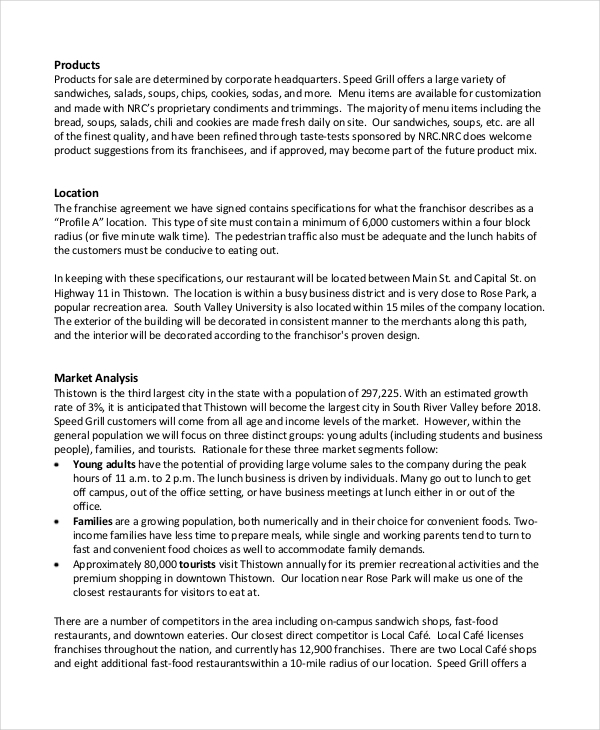 All the mentioned tools are very useful when making a restaurant strategic plan, since SWOT and PESTLE analysis center in on the internal and external environment, Porter’s five forces analyzes competitor behavior, and growth share matrix and balanced scorecard focus on profitability. 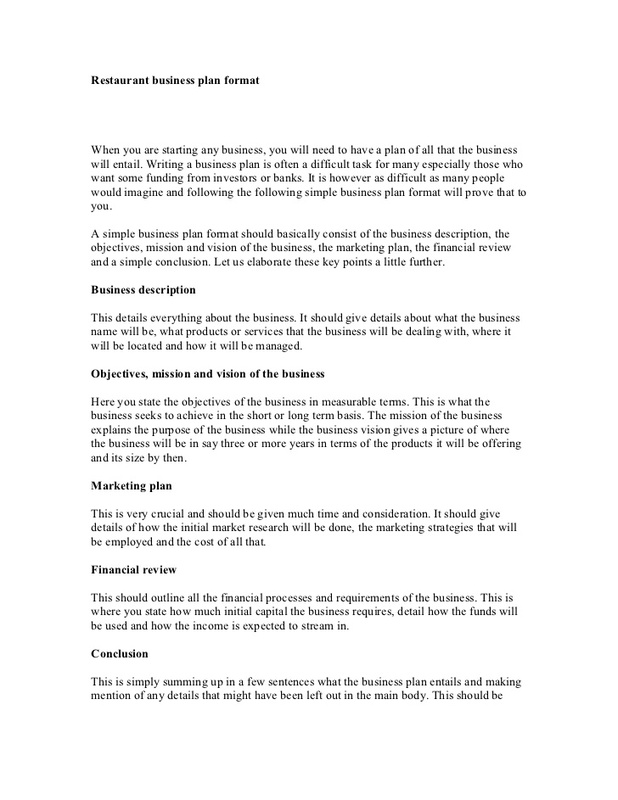 The action plan is basically the actions you will implement for your strategic plan. The action plan is a result of the analysis you created from the strategic tools you used. The buffet is a restaurant concept that never goes out of style. Even for the individuals who don’t eat a lot, the sight of 20–30 dishes on display in front of their eyes is more than enough to entice them to take at least a few bites. Starting a buffet is quite expensive, since you have to cook so many dishes at large proportions. There is a high chance of spoilage and it would result to high inventory costs for your restaurant. To avoid that dilemma, make sure to serve delicious food that customers will want to consume until they can’t consume any longer. Also, serve dishes that have a single theme (for example Japanese cuisine, American diner food, Mediterranean cuisine, etc.) so that flavors will not contradict with each other. Pancakes certainly don’t match with sushi nor lasagna being paired with spicy Korean noodles. Also, try to place a reasonable price tag on your buffet although the price will depend on the market you are selling. If your target market is high-income customers, you can always price your dishes higher. But make sure to avoid overpricing as you might not able to recover from your costs. Self-cook and self-service restaurants have been gaining popularity the past few years. These are restaurants that an electric stove is placed at the center of the table and you just get all your ingredients from another table. There is a large variety of food being served in self-cook restaurants. This can range from any kind of dishes from different types of cuisine. Self-cook restaurants are similar to buffet restaurant in terms of costs and the quantity of ingredients that are prepared. Fresh ingredients need to be prepared and served every day, and there is also a chance where spoilage cannot be avoided due to the number of ingredients being prepared. Similar to a buffet, one method to combat this dilemma is to have a variety of dishes and also do an estimate on the number of customers you expect per day. 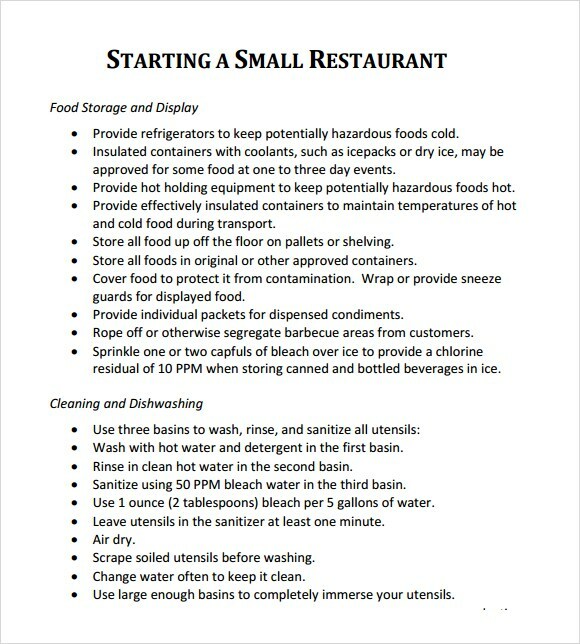 This ensures that if there is any spoilage, it won’t be very costly for your restaurant. Themed or concept restaurants have also become very popular these days. These are basically restaurants that have a specific theme or serve a specific type of food. An example of a themed restaurant includes an American fast-food diner serving American favorite dishes which includes pancakes, bacon, fried eggs, sausages, milkshakes, and ice cream sundaes. Another example of a themed restaurant is a restaurant having numerous memorabilia and an interior design that resembles that from a science fiction movie (for example Star Wars and Star Trek). Themed restaurants are high-risk investments as they only attract a very specific market base. If you plan on setting up a themed restaurant, make sure to attract another customer base as this can be very beneficial for your revenue stream. Also, aim for popular themes in your restaurant as it can gain interest from other market segments. Among the popular themes or concepts you can use are science fiction or fantasy movie concepts, bookstore concepts, animal/pets concepts, indoor garden concepts, sports bar concepts, automobile display concepts, etc. Thanks to technology, you don’t even need to set up a physical restaurant. You just need to create a website or social media page, list down all the dishes you want to sell, then your’e all set. You just need to pay the necessary taxes and process all the business permits, and the government will consider your business a legal organization. Online restaurants are much cheaper to maintain compared to buffets or self-cook restaurants, as you don’t need high overhead costs for you to run your daily operations. You don’t need to pay monthly rental fees as you will be only cooking from home and you don’t have to pay for employee salaries as you won’t be hiring any cooks or chefs to assist you. You can just hire one or two assistants who have a keen eye for delicious food, and one of those assistants can act as your delivery person when orders are made online. The great thing about online restaurants is you can start small. You don’t need a huge lump of capital just to buy ingredients and pay for the salaries of of your employees. When you are already settled and managed to gather a large customer base, it is then when you establish a physical restaurant. 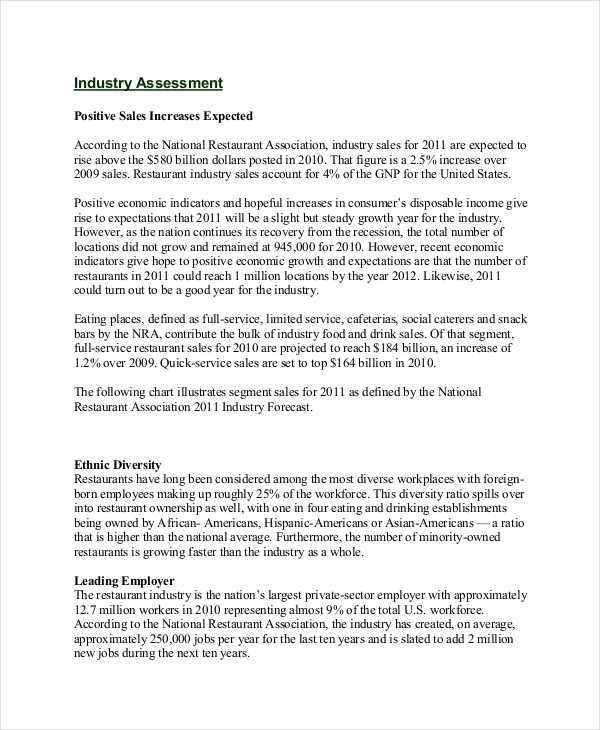 We hope you found this article to be informative as well as helpful when you will be formulating your own restaurant strategic plan. Creating a strategic plan is not difficult. All you need to do is make the right analysis and incorporate the correct details.